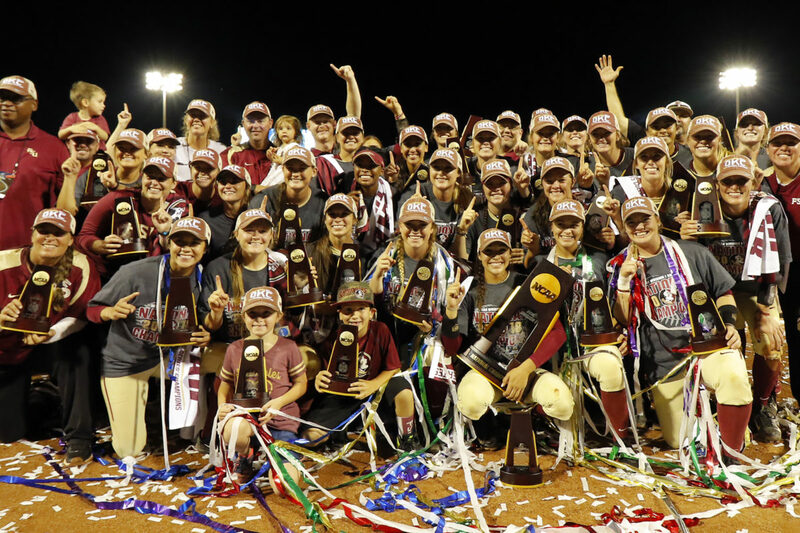 Nineteen months after the Florida State University softball team came to a Seminole Tribe of Florida reservation for the first time and learned about the Tribe’s unconquered history and spirit, the ‘Noles completed their ‘unconquered’ season by winning the NCAA Division I national championship with an 8-3 triumph June 5 against the University of Washington at the Women’s College World Series in Oklahoma City. 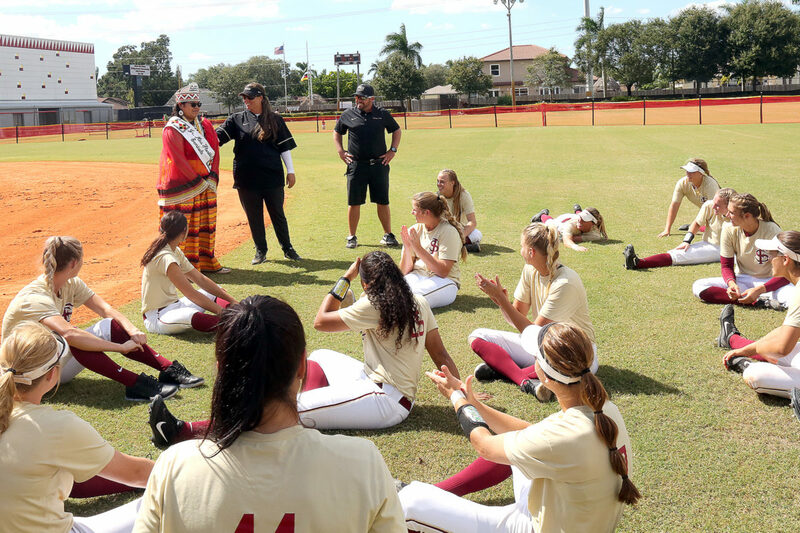 Back on Oct. 23, 2016, FSU played Florida International University in a fall scrimmage on the Hollywood Reservation. 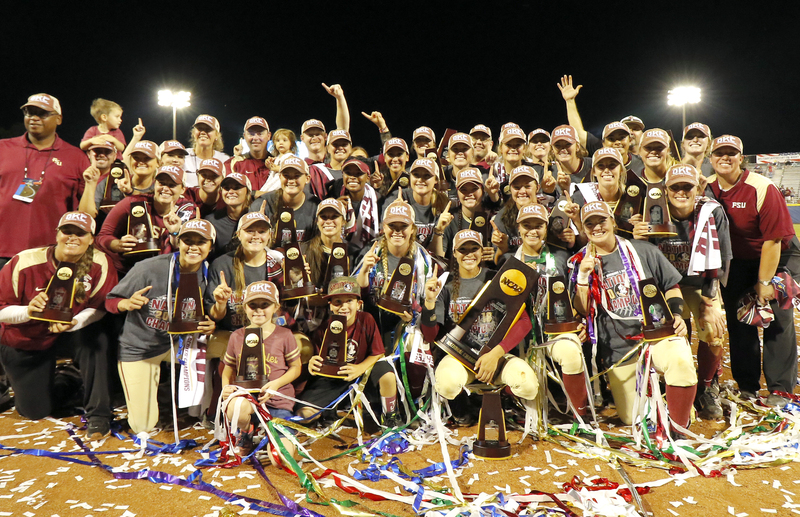 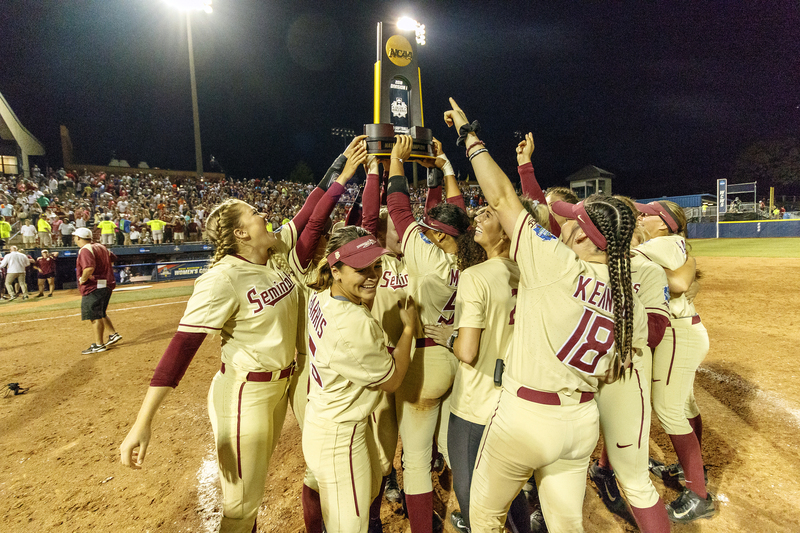 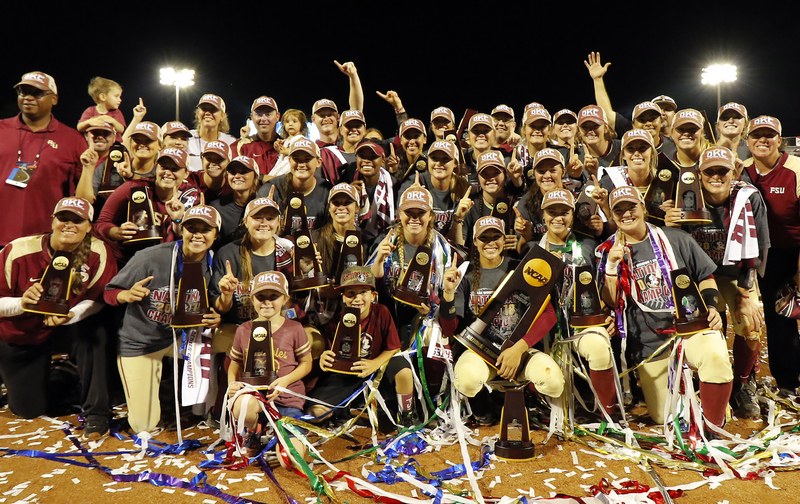 Jessie Warren (3-for-4, 1 HR, 2 RBIs in Tuesday’s championship clinching win) and Anna Shelnutt (solo HR in Monday’s 1-0 win) were among the Seminole players who played that day at Osceola Park in Hollywood. The ceremonial first pitch was thrown by Hollywood Councilman Chris Osceola. 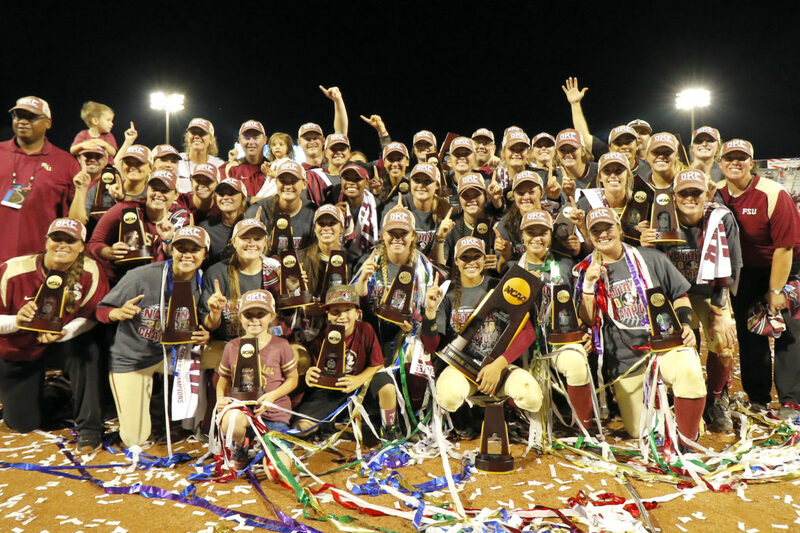 FSU coach Lonni Alameda and the players also met Jr. Miss Florida Seminole Thomlynn Billie and current Hollywood Board Rep. Gordon “Ollie” Wareham. 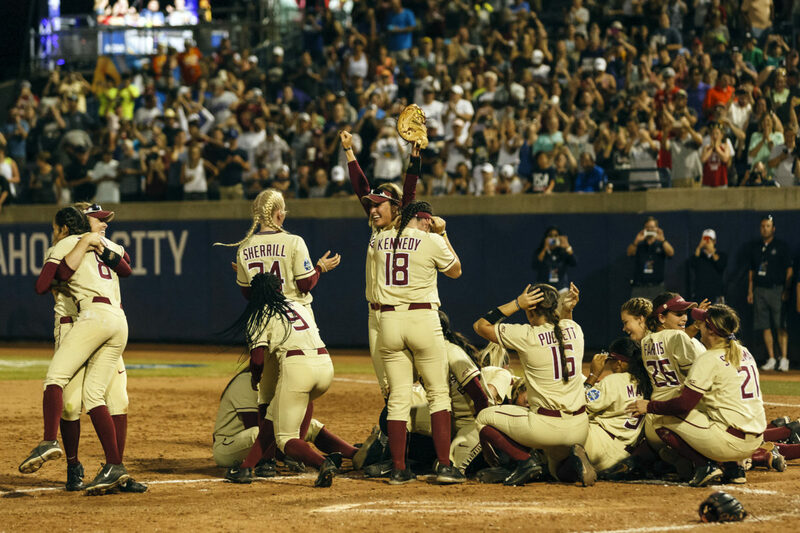 “We got a little education on kind of the unconquered spirit, but also the unconquered Tribe and what that means,” Alameda said at the time. 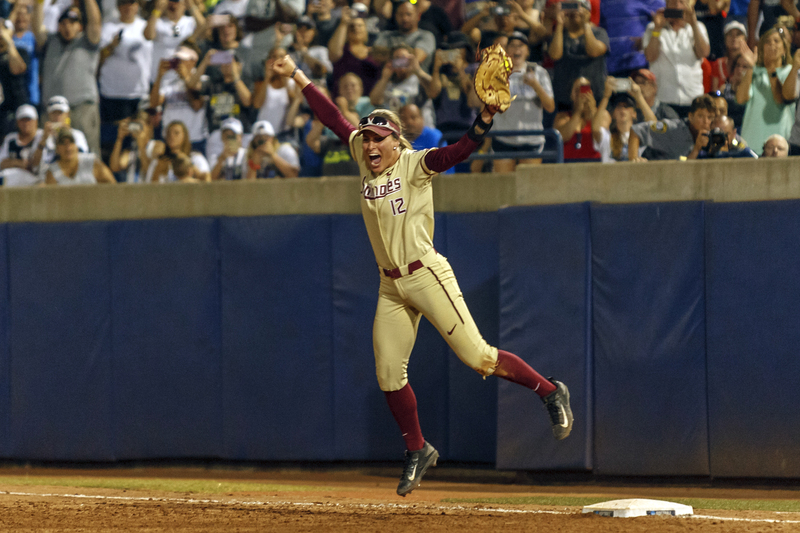 Carsyn Gordon rejoices after making the last out to mark the Seminoles first WCWS win.